George Greenia and Jacob H. Rooksby. 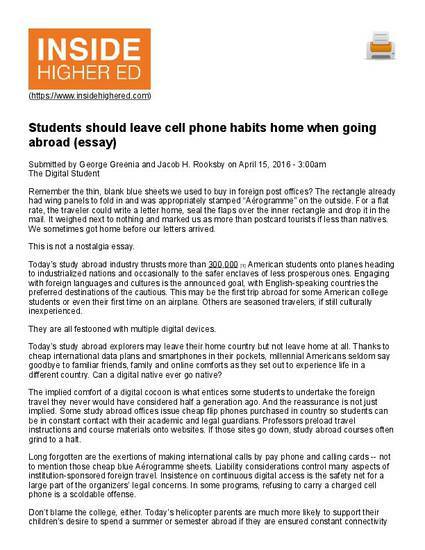 “Digital Cocoons and the Raw Abroad.” Inside Higher Ed (April 15, 2016). Web.